Listeria, which can cause a life threatening illness, was found in sunflower seeds supplied by SunOpta. 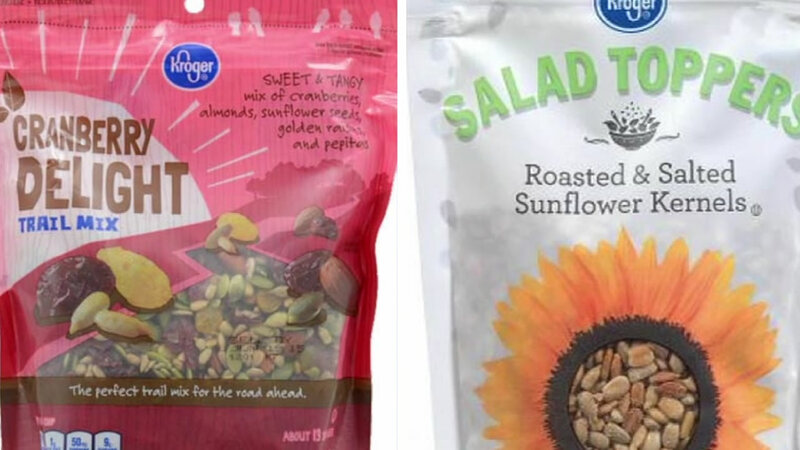 Numerous sunflower products from Kroger, Planters, Market District and Dakota's Best have been recalled. But what makes this truly massive is that sunflower seeds are also found in numerous other products including salad toppers and trail mix. As a result, both Kroger and TreeHouse Foods have announced separate voluntary recalls involving nearly 100 food products. Click here for a product recall list from TreeHouse Foods. Click here for the FDA list of recalled sunflower products.